Dice, Doubloons and Random Musings: "Ave, Imperator, Morituri te Salutant!" 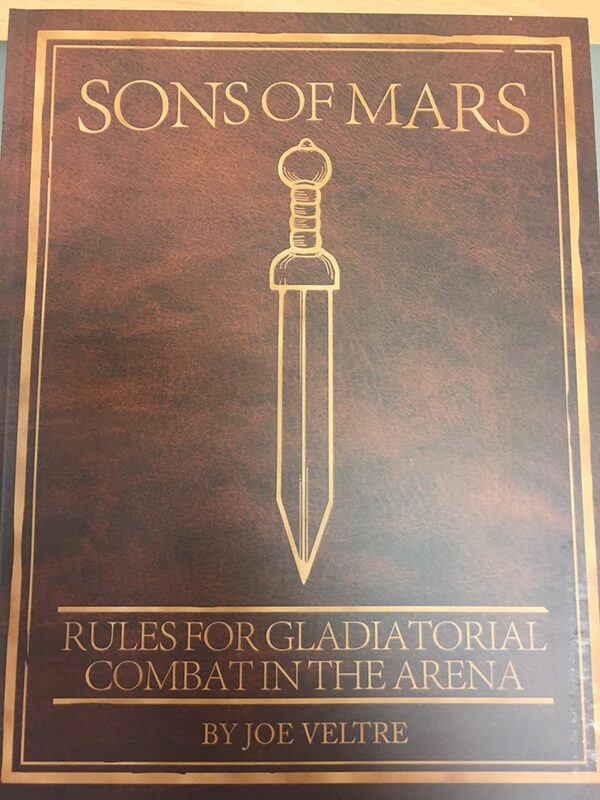 North Star announced sales of a new gladiatorial combat game, "Sons of Mars," the other day, offering a free pack of gladiators with purchases of the rulebook until August 1st. After some deliberation, given that I'm supposed to be packing up to move to a new apartment, I pulled the trigger and placed an order for the rulebook and a pack of Murmillones - and selecting a pack of Retiarii for my free bonus pack. I know North Star ships promptly and I'm not worried about it not arriving before we move. 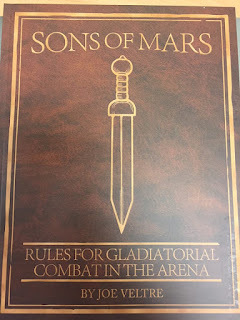 Author Joe Veltre has posted a couple videos on Youtube discussing the rules and gameplay, and it's hard to argue with a skirmish game where you might be in command of as few as a single figure. I figure it's worth a try and I could use a little retail therapy lately.